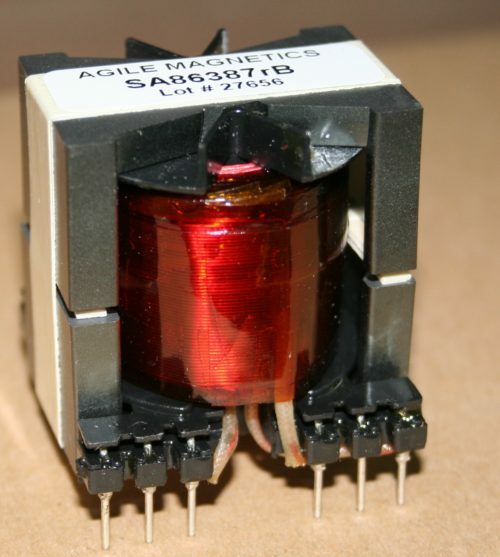 Isolation Power Transformers - Agile Magnetics, Inc.
Agile Magnetics maintains an expert staff of engineers who have experience designing, developing, and producing all types of high frequency transformers — including those used for isolation. Every transformer features some properties of isolation, regardless of its primary applications, but only Isolation Transformers are designed explicitly to isolate the primary from secondary windings in order to meet safety agency requirements. Primarily used to protect both equipment and end users from electric shocks, Isolation Power Transformers isolate the end user circuit from the primary power circuit. Isolation Power Transformers couple input and output voltages magnetically in their transformer core — there is no direct, wired electrical connection. The two windings in the core are separated by specially designed isolation materials, including tape, plastic, specially insulated wire, and electrical grade paper. With their unique design and materials, Isolation Power Transformers typically achieve dielectric isolations ranging from 2500VAC to 4000VAC, though higher isolation requirements can be met with custom designs. Agile Magnetics has been manufacturing transformers of the highest available quality for more than 20 years. We are both ISO 9001:2008 and AS9100 certified, and maintain a UL E160724 insulation listing. Units can be built to CE, CUL, UL, and VDE standards, with UL and CUL markings available when requested. All of this allows us to guarantee you industry-leading quality throughout the entirety of the manufacturing process — working with Agile, you know that every product will meet or exceed the highest industry standards. This free eBook takes a look at the principles and calculations associated with transformers and the critical components of supplying power to modern electronics. This guide provides information on the types of high performance inductor components that can be utilized for the military / defense applications as well as the benefits of custom magnetic designs from Agile Magnetics. You can be assured that Agile Magnetics operates at a high level of efficiency and effectiveness by obtaining our ISO 9001:2015 & AS9100:2016 Certification. Agile Magnetics offers a variety of Primary and Secondary Voltages that adhere to the UL Classification standards. For more information on our Single-Phase and 3-Phase compliant models, download the full list. Simply complete the form and a member of our team will be in touch within 1 business days. Subscribe to our blog to receive the latest company and industry news right in your inbox!